If you are having issue with any application which requires serial ports for communication, then Virtual Serial Port Driver can be the answer for it. It creates virtual serial ports and connects them in pairs via virtual null modem cable. Data written in first port will appear exactly as it is in second port and applications on both ends of the pair will be able to exchange data through it. 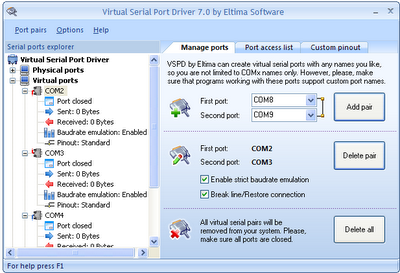 This is the simplest way to create and configure virtual serial ports directly from your application. Subscribe to Automation-Talk by Email. 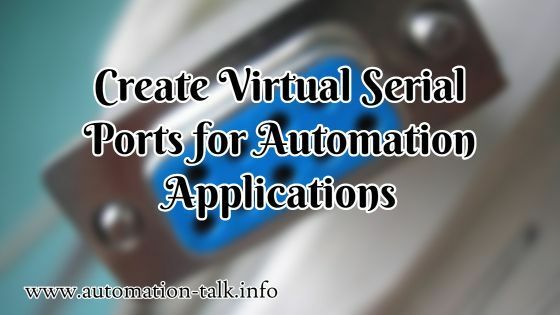 Virtual serial ports appear to an operating system or any Windows application as "standard" hardware serial ports, supporting all serial port settings, strict baud rate emulation, Hand Flow control and signal lines. 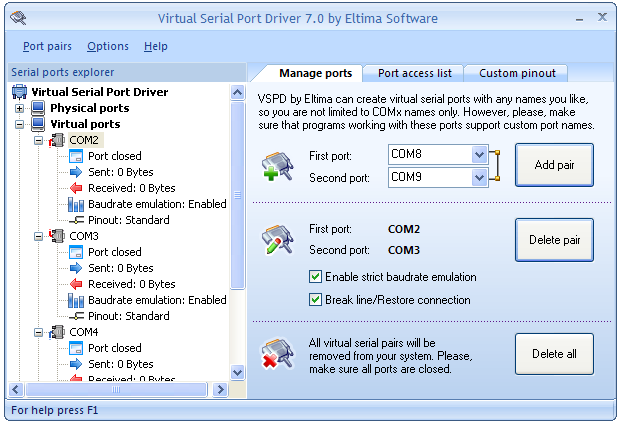 Once virtual ports pair is created, virtual serial ports appear in Device manager, moreover, they are available at each system to start up, even prior to user login. The registration process of the Virtual serial port driver is very simple and you just have to enter you Registration Name and Registration code which has been provided to you at the time of purchase. You can even directly order if you are using a demo version of this software.